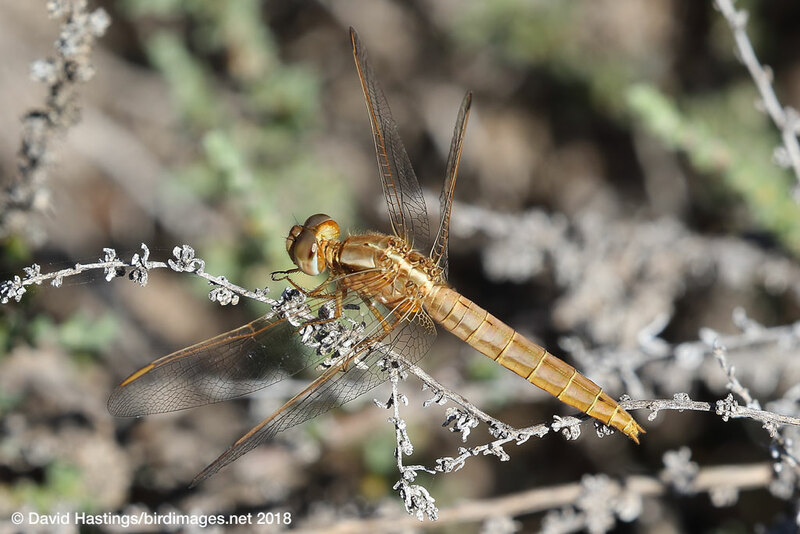 Epaulet Skimmer (Orthetrum chrysostigma). Male. Taken at Extremadura, Spain, on November 15th 2018. Approx 3.5x lifesize. Male. Taken at Extremadura, Spain, on November 15th 2018. 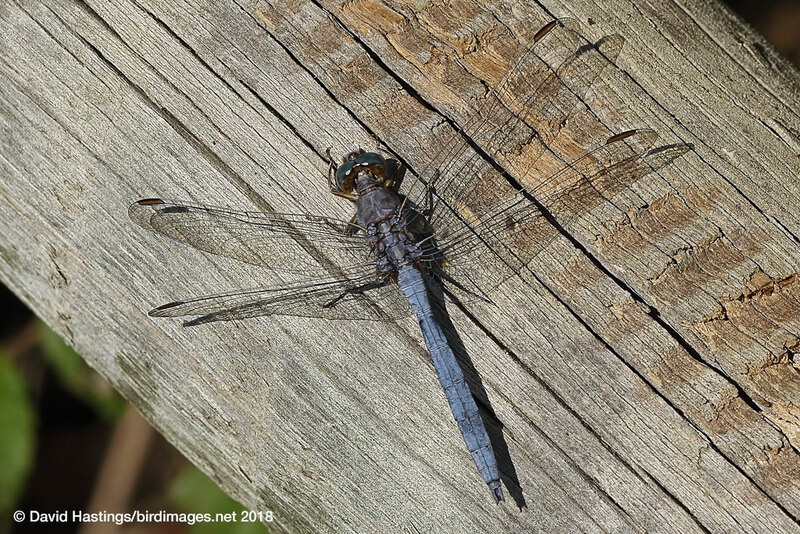 Epaulet Skimmer (Orthetrum chrysostigma. Female. Taken at Barranco Cabras on March 10th 2018. Approx 3.5x lifesize. Female. Taken at Barranco Cabras on March 10th 2018. 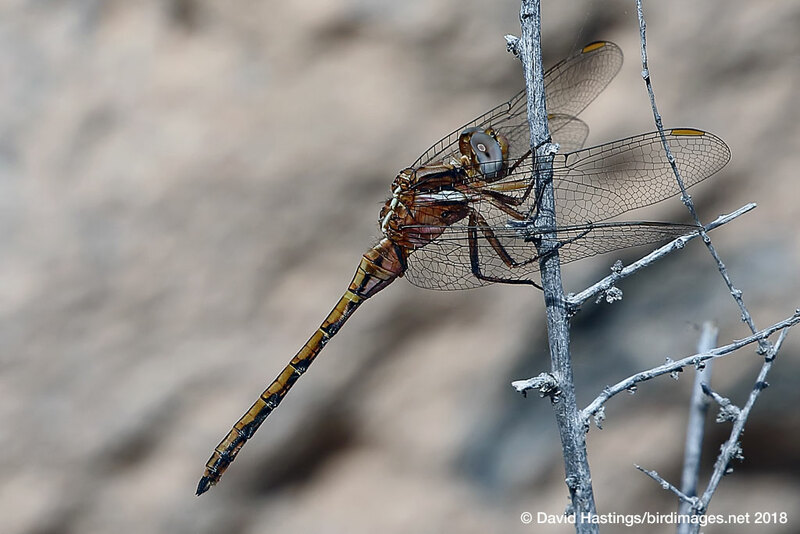 Epaulet Skimmer (Orthetrum chrysostigma. Female. Taken at Barranco Cabras, Fuerteventura, on March 10th 2018. Approx 3.5x lifesize. Female. Taken at Barranco Cabras, Fuerteventura, on March 10th 2018. Both sexes have a whitish patch on the side of the thorax, which gives the species its common name. The male's abdomen is pale blue. The female is yellowish-brown with dark side markings. Both sexes have yellowish-brown pterostigma. This is essentially an African species. In Europe it is found around the coasts of southern Spain, Portugal and Turkey, and also on the Canary Islands. Its preferred habitat is still or slow-flowing backwaters of large rivers. In Europe it is on the wing from April to the end of August. In north Africa it may be on the wing year-round. Males perch (typically on sandy ground) and wait for the females to come to the water. It is regarded as of Least Concern by the IUCN.